New Zealand’s security agency is spying on its closest neighbors in the Pacific by collecting phone calls, emails and internet data, and then sending that data to its ally, America’s NSA, leaked Snowden files claim. According to the new leak, the Government Communications Security Bureau (GCSB), the New Zealand equivalent of NSA, has been targeting the Pacific island countries such as Tuvalu, Nauru, Kiribati, Samoa, Vanuatu, the Solomon Islands, Fiji and Tonga. France’s overseas territories of New Caledonia and French Polynesia were also on the GCSB list. Each of these tiny countries has close and friendly relations with New Zealand. The documents, obtained from Edward Snowden and published in the New Zealand Herald and the Intercept portray a special role for GCSB in the Five Eyes alliance comprising Australia, Canada, New Zealand, the United Kingdom, and the United States. In 2013, the NSA whistleblower handed over thousands of classified documents to journalists, blowing the lid off a Five Eyes ring involved in a global surveillance partnership of sorts. 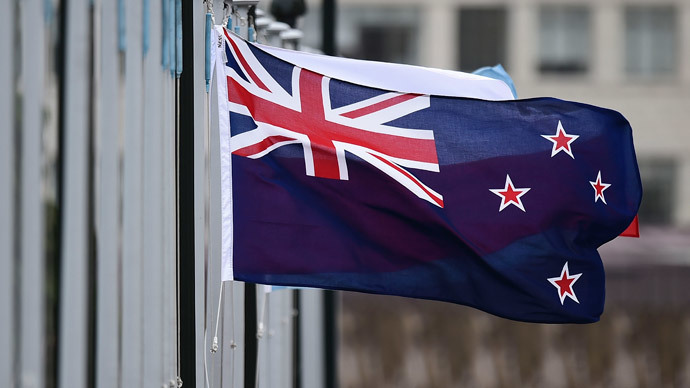 The GCSB has reportedly been interpreting the data from the Pacific countries’ email, phone and social media communications. The information is then forwarded to the National Security Agency, the leak says. All surveillance is being carried in the country’s Waihopai Station, a secure communication facility run by GCSB on the South Island. The data collected by New Zealand is combined with the data gathered from across the world. It then is available to be accessed by XKeyscore, a major NSA tool for snooping. "The Five Eyes countries led by the US are literally trying to spy on every country in the world ... and what we're going to be hearing about in the next few days is New Zealand in all kinds of very surprising ways playing a role in that," says Nicky Hager, a New Zealand investigative journalist, who also contributed to the revelations. Wellington was "selling out" its friendly relations with Pacific nations to cooperation with the US, Hager added. "The reason we spy on those little Pacific countries ... is not because New Zealand cares ... it's just something to take to the table to belong to the [Five Eyes] club." Prime Minister John Key said that some of the information in the report is “incorrect, and some of it is out of date, and some of the assumptions are just plain wrong." “We do have the GCSB and it is a foreign intelligence service, it does gather foreign intelligence that’s in the best interests of New Zealand and the protection of New Zealanders,” he told reporters. New Zealand gathers intelligence, “particularly if a friend is involved, it isn’t to harm that country,” he added. The leader one of the ‘aggrieved parties’ - Samoan Prime Minister Tuilaepa Sailele Malielegaoi - said he is not disturbed by the revelations. “I don’t have any strong feelings about the allegations of spying,” he said.